Jamaica has a number of botanical gardens used mainly for recreational and educational purposes. There are also a number of parks named in honour of renowned individuals. 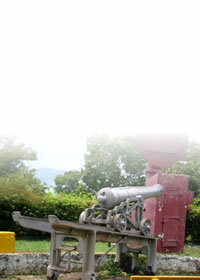 The National Heroes Park in Kingston is of particular importance as it was established to honour the nation's heroes. Botanical gardens are usually of two types. There are those which are primarily scientific or horticultural institutions. These are isolated gardens or adjunct to universities or government institutions. These usually include the plants, libraries herbarbian, and laboratory facilities which are necessary for research and practical experimentation in horticultural sciences. The other type of botanical garden is used primarily for recreation such as public parks. At present, most of Jamaica's botanical gardens fall into this category. Initially, in the early 20th century these parks were intended to be centres for botanical research. Presently, Jamaica has several botanical gardens - Castleton in St. Mary, Bath in St. Thomas, Cinchona, St. Andrew, Hope Gardens, Kingston, and Clydesdale in St. Andrew. Bath Botanic Gardens - established in 1779 as a result of a statute of the Jamaica House of Assembly. Blue Mountains - Blue Mountain Peak is the highest point in Jamaica at 2,255.8metres (7402 feet). Blue and John Crow Mountains - Blue and John Crow Mountains is the first Jamaican Site to be inscribed on the prestigious UNESCO World Heritage List. It is a mixes site consisting of cultural and natural attributes of outstanding historical, socio-cultural, aesthetic, scientific, and educational value. Castleton Botanical Gardens - located on either side of the Kingston to St. Mary main road, since 1862. Cinchona Botanical Gardens - At an altitude of between 4,500 and 5,500 ft. in the hills of St. Andrew. Claude Stuart Park - located in Port Maria, St. Mary, formerly the Victoria Park and renamed in 1977. Clydesdale National Forest Park - located in the hills of the Blue Mountain range. Hollywell National Park - located in the hills of St. Andrew, about four thousand (4000) ft. above sea level. Hope Botanical Gardens - In 1881, 200 acres of Hope Estate was purchased by the Government to establish an experimental garden. Long Mountain - dates back to the 18th Century & was a part of the Mona Estate, which then had 1072 acres. Mason River Field Station - situated off the main road from Macknie to Douglas Castle and is approximately four miles from Kellits, Clarendon. 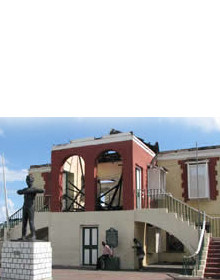 National Heroes Park - formerly the site of the most popular spots in Kingston. Seville Heritage Park - The major attraction of the Park is the collection of the Tainos, Africans and Europeans artefacts. 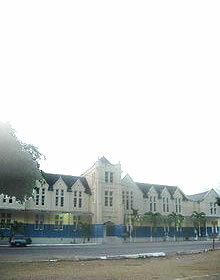 St. William Grant Park - Located in the centre of Down Town, Kingston, the Park is named in honour of the 1938 labour leader William Grant who was an associate of the Rt. Excellent Sir Alexander Bustamante, National Hero and former Prime Minister.